In the Name of the Father and of the + Son and of the Holy Spirit. Amen. dying, as was the case with Terri Schiavo, it has become legally acceptable to starve them to death. Why? They are viewed as burdens to others. 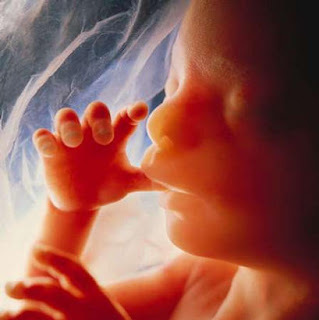 In Missouri, it is permissible to use tax dollars for pre-born people to be legally manufactured in the laboratory, and then kill them if and when their cells are no longer useful. Mohammedan terrorists plot evil around the world, even infiltrating our army and gunning down people on our own military bases. And yet, as horrifying as such things are, these are not as serious as the danger of which Jesus warns. astray, dear friends in Christ. They want your faith, your loyalty, your support, and your wallet. Jesus tells us this morning that it will be worse as the end approaches. Now, two ends loom in this reading from Saint Mark: the destruction of Jerusalem, just 40 years after Jesus prophesied this, and the end of this earth, whenever that day shall come. while claiming to be the Lord! In those early days of the New Testament Church until now – and until He returns in glory, we stand in danger of such imposters. Are you ready to start following any guy who comes up and claims to be Christ? Doubtful. Hopefully you have learned enough over the years that you realize Jesus will not return quietly or secretly. But there is a related danger. You could fall prey to false teachers – men or women who speak a message that departs from our Lord’s Word. Church bodies that deny the Holy Spirit’s miraculous work in and through the earthly elements of the Sacraments, joined to God’s Word. 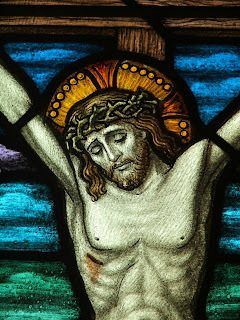 Those who say that forgiveness and salvation only signify or accompany Baptism and the Holy Supper, rather than the Lord using them as His means of bringing and delivering His grace. Sadly, it is not always easy to spot such false teachers. Many are eloquent preachers. Some have large followings. Others use excitement and emotion, like the Pied Piper or Professor Harold Hill, and sway the worshipers, manipulating their audience to follow them. Some spread their message on television, internet, and radio. The danger is, they often begin with God’s Word and manipulate it to fit their own agenda. They end up being very difficult to notice and realize the heresy. Stop, dear friends in Christ! Flee from those who would deceive you. Do not remain easy targets and let their mouths fill your ears with deception. Do not sit mindlessly and absorb the propaganda from those who work against the Truth of God. Turn the channel. Change your website. Do whatever it takes to avoid those who teach against and instead of Christ! Afraid you cannot do that? I know you can’t – at least not completely. And that is why our dear Savior preaches to us this morning. He warns us ahead of time about those who would deceive us and endanger us. But He also delivers us from evil. Jesus is the one and only true Christ. He IS I AM! The Lord is come in the flesh and has purchased and won forgiveness, life and salvation. He has redeemed you. And He did not leave it as a historical event that is unattached to you. The one and only Christ has Christened you! He has marked you as anointed into Christ at your Baptism. Your Old Adam is dead and buried in Baptism, Our Lord has now raised you up as a New Creature, with Himself. As His New Creature, your eyes and ears are fixed on Jesus, and not on any false Christs or false teachers. You have the joy of a Savior – our one and only true Savior – who removes you from the dangers of false teachers and imposters. He rescues you from death and the devil, those enemies who desire to sway you. He forgives you constantly, and preserves you in His mercy and grace through His Gifts that He gives in His Holy Church. He gathers you from their lies and deceptions, and protects you, His lambs, safe in His fold. “But the one who endures to the end will be saved.” More Good News: even though you cannot endure, Christ has endured for you. He has been beaten for you. He has stood trial for you. He spares you from the horrors He endured, so that you may have a joy-filled and blessed eternity! He has called you to faith through the work of the Holy Spirit and preserves you in Him. He keeps you steadfast in His Word and continually bathes you in your baptized state. He repeatedly nourishes you with His Holy Body and Blood. He keeps you, body and soul, so that you endure to the end. He saves you! Amen. Blessed, happy husband of Kristi. Proud father of my clone son. Assistant VP for Mission & Minstry -- Concordia University Chicago. Worship Coordinator for Higher Things. Was ist "Ablaze" mit Skt. Johannes Gemeinde? Who's the Leader of the Club...? Glee: Good, Gracious, or Ghastly? (C) 2012 by the Rev. Richard A. Heinz. Thoughts and opinions published here do not necessarily reflect those of St. John's Lutheran Church & School, The Lutheran Church--Missouri Synod, or Higher Things.